Mary, the mother of Jesus, insists you look her in the eye. She has inspired intense devotion since the 1300s, when some Christians came to believe that a relationship with her would bring them closer to her son. 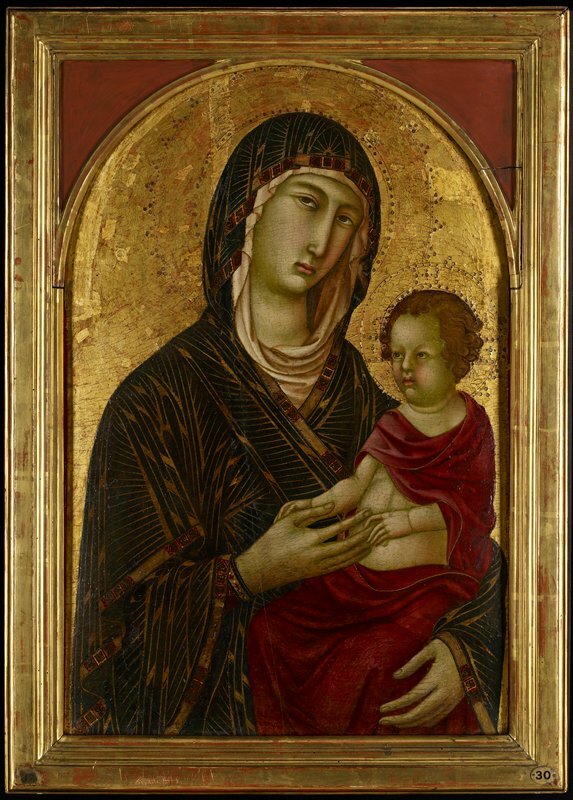 Segna portrays them both as very human and approachable—Jesus plays with his doting mother’s fingers like any other baby. Yet his erect posture and serious countenance convey the wisdom and spiritual authority of the man he would become. The painting was once the central part of a five-panel altarpiece and was likely cut down in the 1800s to fit this frame.